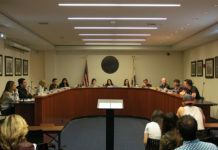 Last Wednesday, students from UC Riverside and the other eight UC campuses attended the monthly Regents meeting in San Francisco to demand higher worker compensation for all UC employees as well as greater legal protections for marginalized minorities in the UC system. 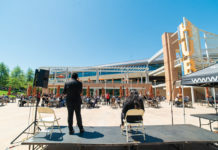 Over the past few months, students across California have become increasingly vocal and critical regarding perceived inaction and apathy on behalf of the UC leadership partly due to the controversial immigration and diversity policies of the Trump Administration. 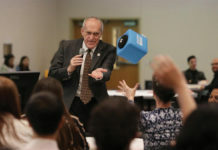 However, despite these accusations, there has been no evidence supporting the claim that the University of California leadership has ever transferred revenue to any private corporations engaged in the prison industry or invested in deportation or border security. The University of California continues to maintain a policy protecting undocumented immigrants from deportation on campuses and usually provides generous financial aid packages to these students.